I’m pretty upset that I missed last month’s Asian Food Fest because it’s one of my favourite countries – Thailand! I’ve originally wanted to make some pad thai or green curry but somehow the plans didn’t materialise. Hopefully there will be another Thailand theme some time soon! When I saw the theme for Asian Food Fest this month is Western Asia, falafel came to my mind. Falafel is a deep-fried patty made from ground chickpeas, fava beans or a combination of both. It is a traditional Egyptian food and usually served in a pita or in a flatbread with salads, pickled vegetables, hot sauce and tahini-based sauce. I first had falafel when I was in Thailand, in one of Bangkok’s night market. X and I were looking for a snack and we gave falafel a shot even though we had no idea what it is. We only knew it was deep fried and well, most deep fried stuff are delicious, right? The falafel sandwich was so good and we kept guessing what those fried little balls were made of. 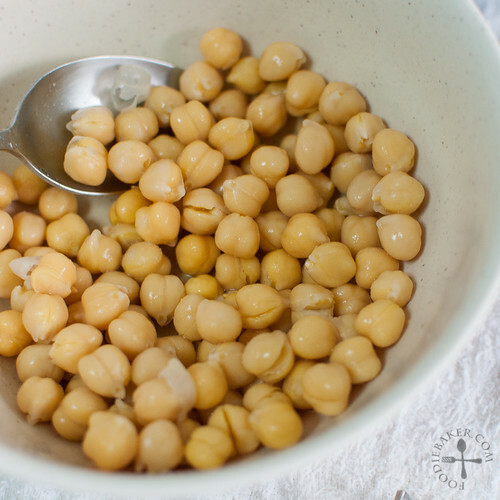 We only found out later that it was made from ground chickpeas and/or fava beans and was a very popular street food throughout Middle East. We were really lucky to be able to eat it in Bangkok! I adapted my falafel recipe from 2 sources – Jamie Oliver’s and The Shiksa Blog. I tried 2 methods of cooking, frying and baking. I noticed my falafel is still pretty loose and when I tried to fry one, the whole thing disintegrated into small bits, perhaps due to only 1/2 tablespoon of flour being used. More flour and/or some egg will be needed to bind them together to prevent the balls from falling apart during baking / frying – I’ve made the adjustment to the recipe below. I love the baked results – it’s a lot healthier as it uses less oil and still pretty delicious! Instead of serving in pita bread (as I can’t find them in the supermarket), I served them in tortillas instead. Again, 2 versions! One tortilla was briefly warmed and rolled up with all the vegetables. The other tortilla is warmed until the edges start to become crispy and folded half to hold the fillings together. X and I both love the one that is folded half as the tortilla is crispier, though the one that is rolled up is easier to handle and eat. The falafel wraps are served with a Tzatziki sauce instead of the traditional tahini sauce as I personally prefer the former. Tzatziki is a Greek sauce made of Greek yogurt, cucumber, lemon juice and garlic. It is usually served with meat but I love the combination of the slightly tangy sauce with my falafel. 1) Rinse and drain the chickpeas. 2) Process into a paste. 3) Add in onion, garlic, herbs and flour.. 4) Shape them and bake away! 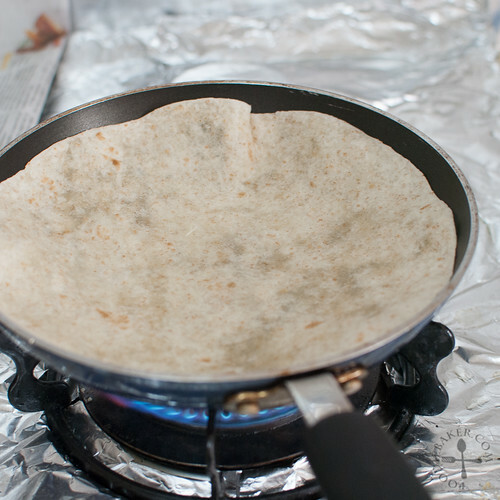 5) Warm the tortilla. 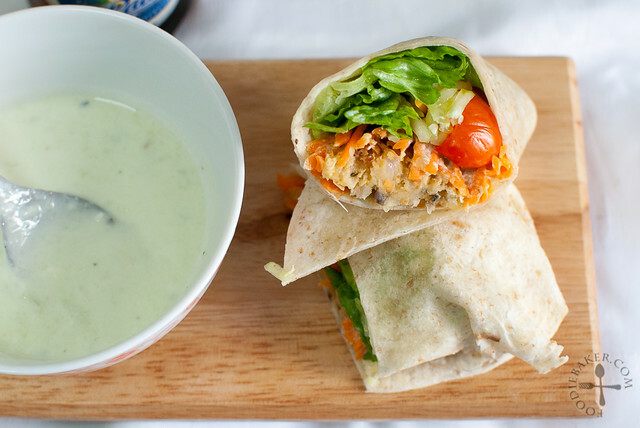 6) Fill with vegetables and falafel and roll! Slice the wrap at a diagonal to see the filling inside! 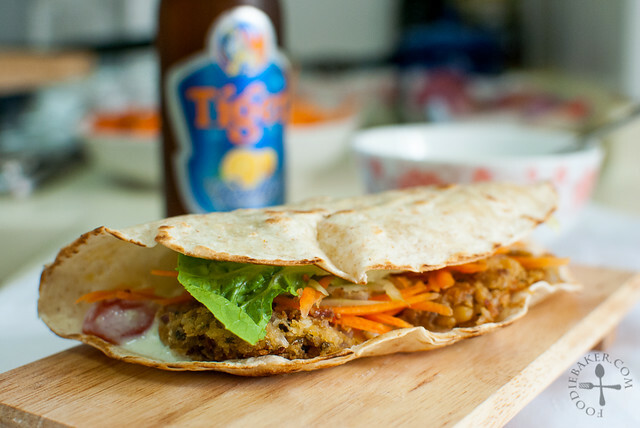 I am submitting this post to Asian Food Fest: West Asia, hosted by Shannon from Just As Delish. The roundup can be seen at Shannon’s post here! 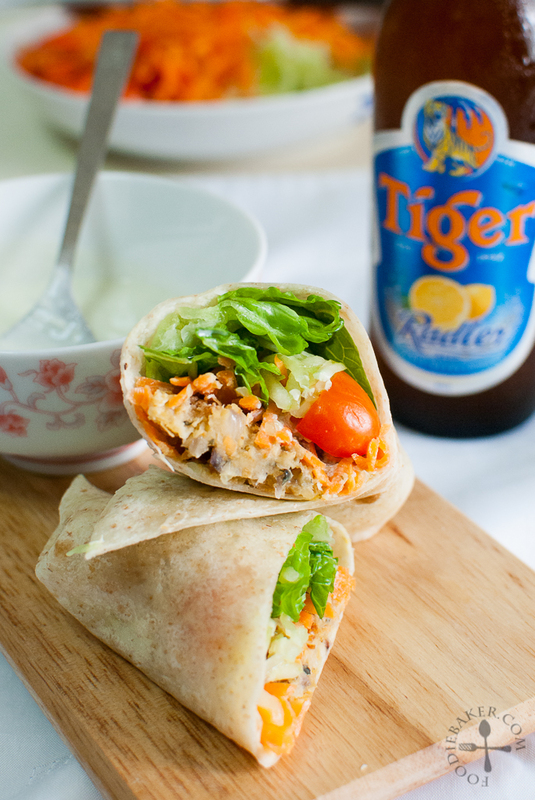 If you have noticed (and most probably seen it on my Instagram), there is a bottle of beer lurking behind the falafel photos, it’s actually a bottle of Tiger Radler! 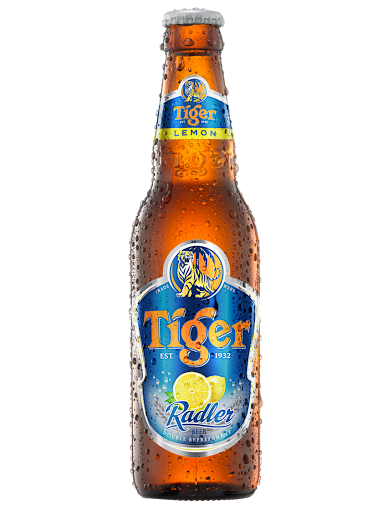 Tiger Radler was launched on 28 November 2013, a new variant and product innovation combining Tiger Beer with natural lemon juice. Given Singapore’s hot and humid weather almost all year round, this refreshing drink is always welcome! I love how the lemon taste is not too overpowering and there is a nice balance between the lemon and beer taste. It tasted like a refreshing fizzy lemonade, with alcohol as an added bonus 😉 X is pretty fond of the beer and he bought another bottle recently to eat with his steak! Tiger Radler is available in both cans (300ml and 500ml) and bottles (300ml pint bottle and 633ml Quartz bottle) and available in all leading retailers – supermarkets and convenience stores; and even in restaurants, pubs and clubs. Disclaimer: I was gifted with a bottle of Tiger Radler to review, no monetary gift was received. Rinse and drain the chickpeas well. 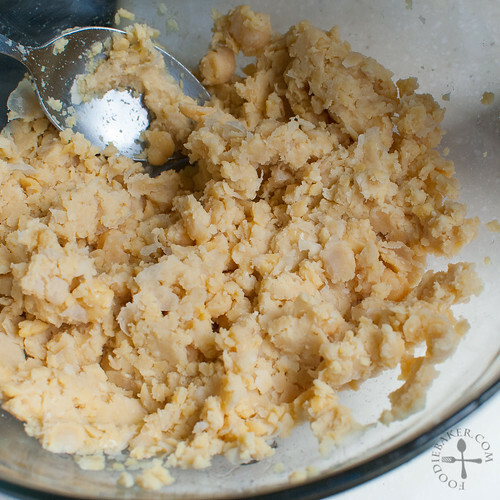 Process the chickpeas in a food processor until a dry paste is form. Add in the onion, garlic, 1 tablespoon flour, parsley, ground coriander and cumin and pulse until the mixture comes together. You can mix them in a bowl like me if your food processor is not big enough. Season with salt and freshly ground black pepper. Add in more flour and egg (if using) if need. Chill the mixture for 1 hour in the refrigerator. Preheat the oven to 190 degrees Celsius. Line a baking sheet with parchment paper and drizzle oil generously on top. 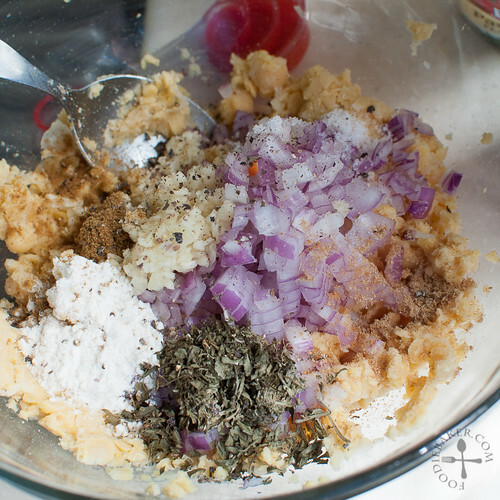 Shape the falafel by scooping small mounds and roll them into a ball, compacting the mixture. Flatten the ball slightly then place them on the baking sheet, turning them to coat both sides with oil. Bake for 15 minutes until golden on the underside, then flip the falafel and bake for another 15 minutes until the other side is golden. Serve warm or at room temperature, wrapping it in a pita bread or tortilla and adding lots of vegetables and Tzatziki sauce. Peel and cut the cucumber into small pieces. Add salt and rub it into the cucumber pieces with your hand. Cover and let stand for 30 to 45 minutes. Place the cucumber pieces on a cheesecloth or a few paper towels and squeeze the excess liquid out. Place in a food processor and purée it. Combine with yogurt, lemon juice and garlic. Season with salt and freshly ground black pepper. Refrigerate for 1 hour for the flavours to mingle. Taste and adjust the seasoning if needed. The sauce can be made ahead and kept in a tight jar for 2 to 3 days. Give the mixture a stir before using. 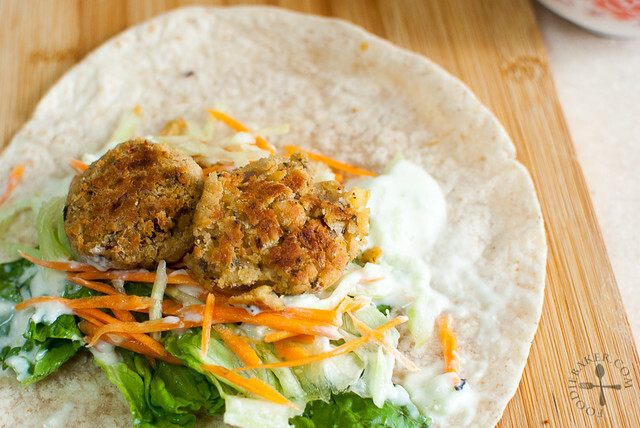 These falafel look amazing, Jaseline! Love the two versions, it shows very well the versatility of this recipe. delish. 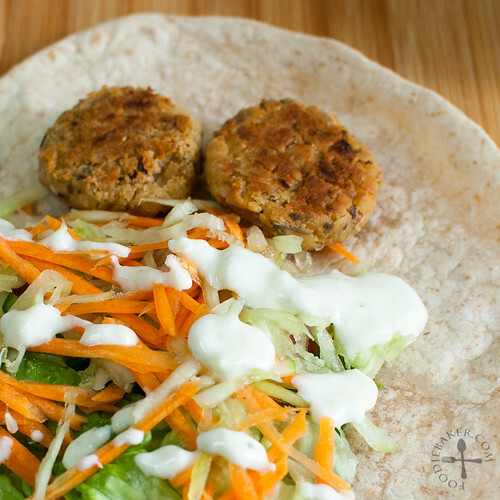 I adore falafel – so nutty and crunchy. Will def try this recipe – thanks! That looks healthy and yummy! 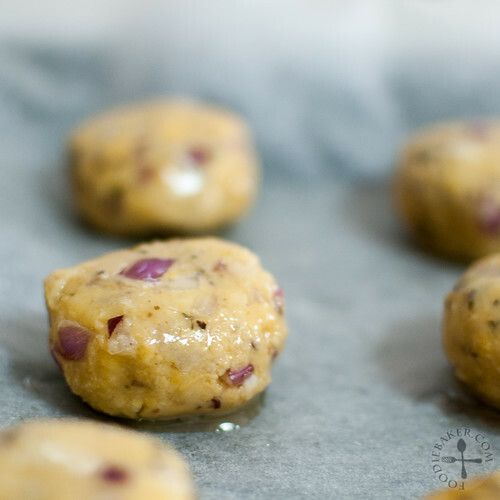 I love chickpeas so I know I would find this falafel delicious too! got to try making some! Recently I made falafel again, for the first time in ages. And baked them, too. They turned out really well. Although I’m hoping to buy gram flour to be able to use it as well. I still haven’t tried using bicarb soda and deep-frying them as I can only imagine they would disintegrate! Do love ’em.